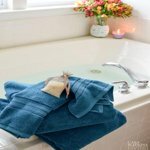 Treat yourself to the ultimate comfort in the bathroom, and make sure you're warm and dry after bathing, with this Better Homes &amp; Garden Thick &amp; Plush Bath Towel Collection. 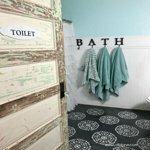 This collection has everything you need to stay warm and dry in the shower, and to add a fun and vibrant touch to an otherwise boring bathroom. Treat yourself to the ultimate comfort in the bathroom, and make sure you're warm and dry after bathing, with this Thick & Plush Bath Towel from Better Homes & Gardens. This premium towel is made from super soft absorbent cotton that is pleasant to touch, and comes with TruLoft yarn technology built-in, so that the towel is loftier and more voluminous after wash and dry cycles. It provides full-bodied drying action for all body types, and comes in this brilliant Arctic White color that is sure to fit the decor of any home's bathroom. It also has a durable construction with a double stitch side hem, for extended long-term use in the home. 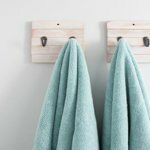 The perfect everyday towel for use in your bathroom! Treat yourself to the ultimate comfort in the bathroom, and make sure you're warm and dry after bathing, with this Better Homes & Garden Thick & Plush Bath Towel Collection. This collection has everything you need to stay warm and dry in the shower, and to add a fun and vibrant touch to an otherwise boring bathroom. 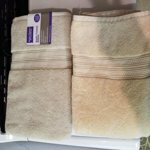 I haven't purchased towels in a while, but I was over the moon when I used the complementary set of the Thick and Plush towels I received to review. It was incredible! Each of the towels are super soft and absorbent. They were the perfect finish to my spa day at home. The color is so vibrant and the towels were just as soft after I washed them. You just want to curl up with them and take a nap when they come out of the dryer. I have the Corsair (which looks like the color cerulean) set by the way. Sometimes towels get a bit flat after you wash them, but so far these are holding up fabulously. 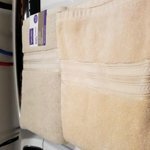 This towel set is beautiful and very soft and absorbent. They're almost too pretty to use! 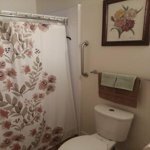 There are some brown and greyish branches on my abstract floral shower curtain, so I decided to try this brown color and I absolutely love it. 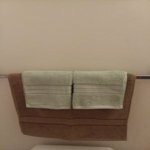 I paired them with light sage green washcloths and it looks so nice in my newly decorated bathroom, which will be finished when I get bamboo cabinet, also from Walmart, to fit next to the shower. They are thick and plush with a little messy on the side. My husband is picky about towels. I washed the towel separately, with tons of lint. I even saw some lint after he used it. 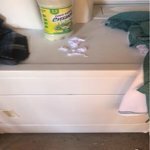 It is loosing less lint after a few more washings. I will continue to wash separately. But, overall, I am happy with the towel. 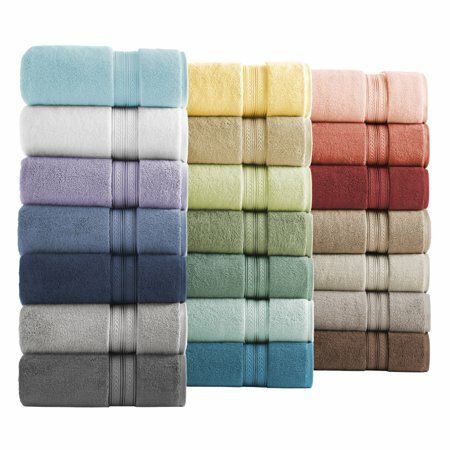 I love how plush these towels are, at first they are almost the texture of a blanket and so cozy. They stay soft after washing, too. I love the Aquifer and Arctic White colors! I would give no stars for color only. The towel is fine except that I bought six beige towels, washed in warm to cool water and in less than a year the color has changed to a peach color. Need to replace all since they look terrible in my bathroom now and don't match the rug. I bought new ones to compare the color but will be returning. I bought this exact same towel in the hand towel size and it's great. 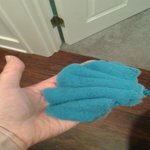 Went back to get the bath towels...same color, same type...washed it and it EXPLODED with lint. 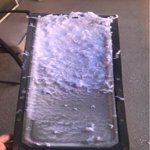 I'm drying it while writing this review and I've had to empty the lint trap twice already. I'm going to wash it again to see if they can be saved because I love the color. I noticed that another person left a one star review and it was for the same teal color, with the same issue. 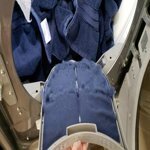 They are going back to the store if the second washing doesn't work. 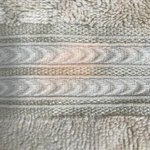 I purchased a light beige color hand towel and after the first wash the color had run and faded. No bleach was used and the other towels in the load were all light in color and fine. Just this one towel had large, faded areas. It has gotten worse with each wash and this towel will now go to the scrap pile. I do not recommend this product. Worst quality ever!!! Dony buy!!!!!!! The worst of the worst!!!! Dont buy!!!! 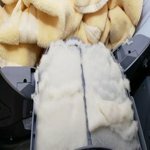 Lint lint everywhere! I washed and dry them 4 times all ready. Im shocked how poor the quality!!!! Terrible!!!! Going to return asap!!! !